Published on Monday, May 1, 2017. This article appears in the April/May 2017 issue of American Craft Magazine. Greycork offers its furnishings à la carte or as a living-room set. Editor's note: Greycork has closed. At the time our April/May issue went to print, Greycork was fully operational to the best of our knowledge. According to architecture and design blog Curbed, Greycork leadership cited challenges in maintaining both quality and affordable prices. Nimble startup Greycork has good news: You don’t need a lot of money to have high-quality furniture shipped to your door. You won’t need tools or complex instructions to build it when it arrives. And if you decide to move to a new apartment next week, it breaks down just as easily. It’s a pretty attractive pitch to those with tight budgets and tighter hallways, and none of it is an accident. Everything Greycork does is by careful design. These are more than grand visions. 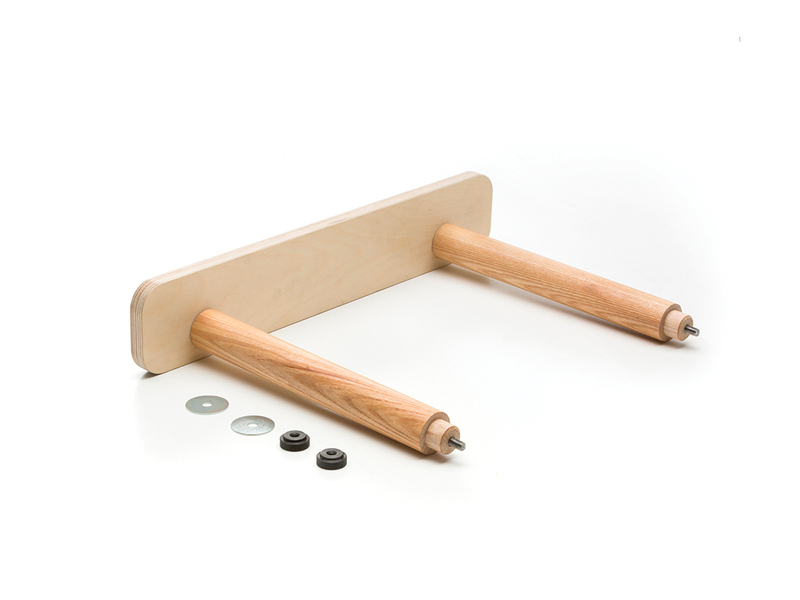 In 2013, Humphrey – then working in venture capital – sketched out his first foldable coffee table concept. Two years later, Greycork became crowdfunding website Indiegogo’s most-funded furniture company ever, raising more than $270,000. Coverage of the Providence, Rhode Island, outfit in the New York Times, Forbes, and Fast Company has kept Greycork in the limelight, helping it secure an additional $1 million in venture capital in June 2016. It’s clear that Greycork is onto something big, attracting the label “Ikea killer” thanks to the company’s focus on easy-to-assemble, minimal designs. The entire experience speaks fluent millennial: affordable, undeniably cool furniture for the digital-native consumer who is tired of particleboard. These days, he’s shipping Greycork’s growing roster of designs. Everything from sofas and chaise longues to bookshelves and side tables are created with intense scrutiny by the two-person design team – both graduates of Rhode Island School of Design. Regional and local partners manufacture the components, which are then inspected, flat-packed, and shipped from Greycork headquarters. Now the company offers its entire living room set (a sofa, chaise, coffee table, side table, and bookshelf) for less than $1,800. In addition to its focus on affordability, Greycork also stays ahead of the competition by putting customers’ needs first – even when those needs are evolving. Consider its multipurpose sofa. No dining room? Sit down and eat; the slipcovers are designed to easily wipe clean. Frequent houseguests? Get out the sheets; the cushions, made of memory foam, are about as wide as a twin bed. Careful oversight: All of Greycork’s manufacturing partners are located in the United States at this point. “We work with manufacturers locally, and we go and visit their factory and watch them build things so that we can make sure the quality is there,” says CEO John Humphrey. Solution-focused: Greycork’s newest product is a pegboard designed to add storage in underperforming and awkward spaces, shipped with hooks and a shelf. A mirror is an optional add-on. The company regularly launches new products. A family affair: Humphrey’s father, Peter, bought Horner Millwork in 1980 and has built the 12-person Massachusetts shop into a 400-employee business. Consumer savvy: The Greycork team uses their Providence, Rhode Island, showroom for sales – but also as a market research lab, connecting with customers and learning what they want in their homes. Before adding a new product to their line, they conduct a customer survey about its potential function and appeal. Greycork’s recyclable aluminum pegboard is designed to fit in awkward spaces. Smart additions, like armrests for the sofa, are sold separately. 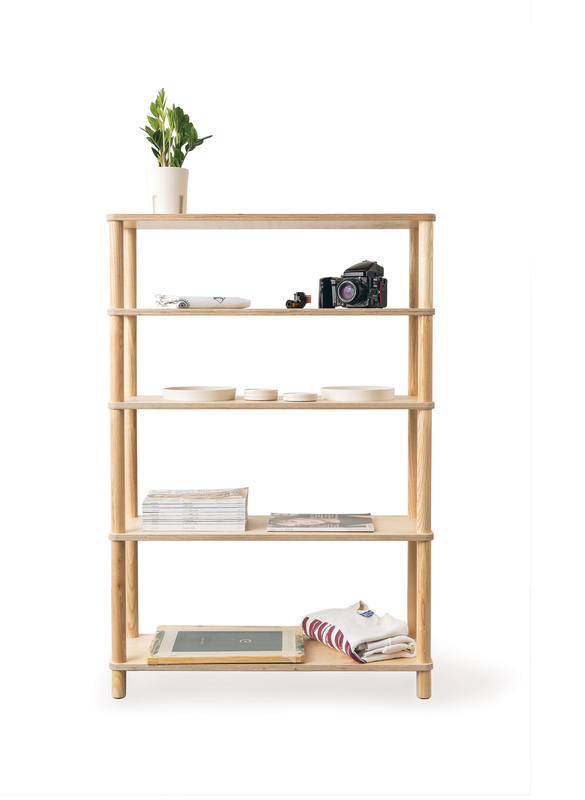 Made of Baltic birch plywood and ash, Greycork’s bookshelf is built to last – but easy to take apart. 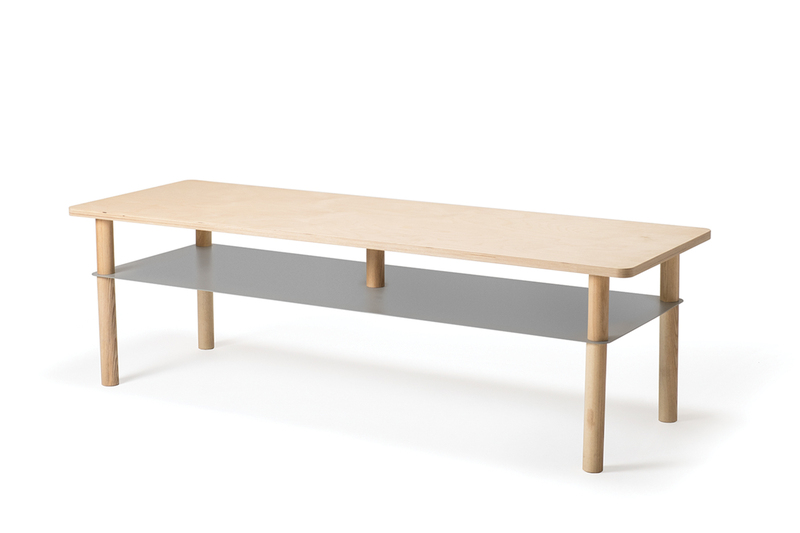 Clients can customize pieces, such as this coffee table, by specifying the wood and steel. Sofas come in several frame and fabric colors.